I am so excited to be a part of this amazing group of wellness advocates. As a mother, holistic nutritionist, partner of a health clinic and learning and development professional, you can probably guess what I am passionate about. 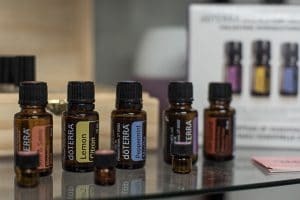 I am at my best when analyzing, learning, sharing, and teaching others about the importance of choosing more natural ways to promote health and vitality, so when my friend approached me about essential oils, I was intrigued. 10 years earlier, after having my boys, I experienced health issues that the medical system failed to understand. And, after many visits to alternative health professionals, I learned a lot but the most important thing, was that I needed to take responsibility for my own health. No one else was going to care as much about my health as I would. That is why I love the Do Terra business – it’s all about empowering people to own their health! I started using the oils with my family and was impressed by the results. And of course, I started hearing success story after success story, and it didn’t take long before I was inspired to help get this info out there and to turn this into a business. I want people to know that there are other, more natural ways to achieve health and that we all must take control and help each other to shift towards a healthier way. Becoming a Wellness Advocate is is one fantastic way to do just that. Get your Do Terra oils here!